Since the enactment of the Patient Protection and Affordable Care Act (PPACA) passed, pricing transparency has been a hot topic in state legislature. Many states have passed laws regarding pricing transparency in healthcare. If you are interested in what laws are enacted in your state, you can click here for a complete detailed list of the law. How does the pricing transparency laws effect your healthcare organization? In this article we are going to focus on healthcare consumerism and why high deductible health plans are creating the market need for healthcare consumers to shop on price. 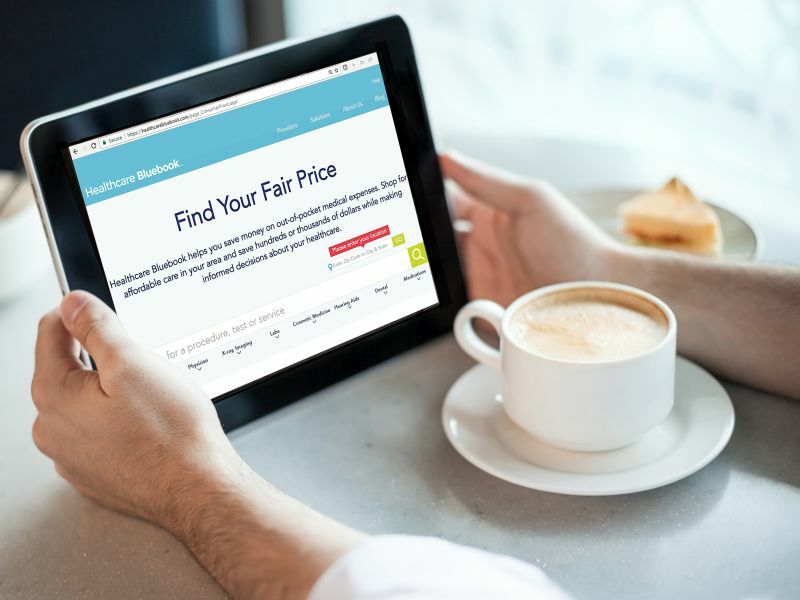 There are websites like ClearHealthCosts.com and healthcarebluebook.com that allow consumers to shop. It is especially important for healthcare consumers to shop on price because as out-of-pocket costs have risen for healthcare consumers, wages have remained stagnant. 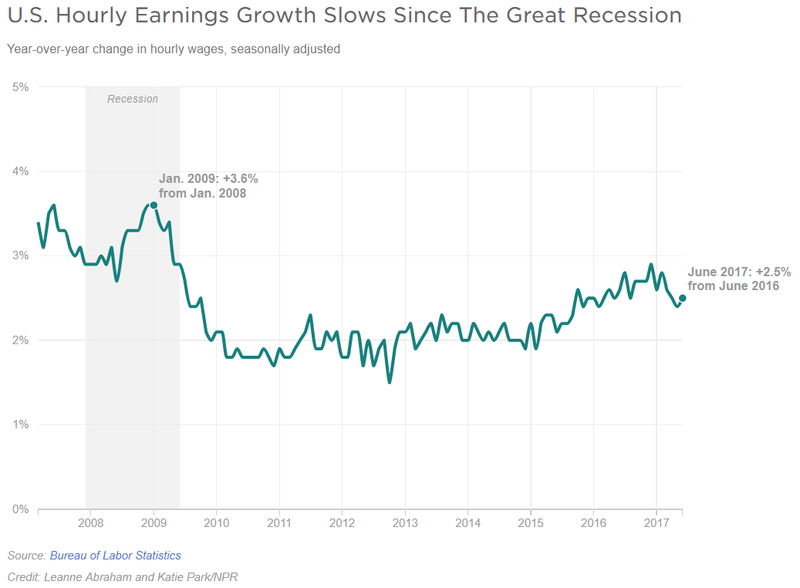 According to NPR, The Labor Department's numbers show wage growth averaging 2.5 percent in April of 2017 after peaking at 2.9 percent in December of 2016. While wages remain stagnant, employer-sponsored health plans have seen a dramatic spike in costs for employees. According to Money Magazine, a Peterson-Kaiser report found that the average amount enrollees paid toward their deductible rose a whopping 229%, from $117 to $386, between 2005 and 2015. A separate report from Kaiser found that the average deductible for people with employer coverage rose from $303 to $1,505 between 2006 and 2017. In addition to the rise out-of-pocket costs for employees in hi-deductible employer-sponsored plans, the premiums of those plans have increased causing a decrease in take-home pay in an era of stagnant wages. The stagnant wages and increased out-of-pocket costs have shown a direct correlation to a decrease in non-emergent health service utilization. A Health Affairs study showed a decrease in non-emergent service utilization for individuals enrolled in high-deductible plans. The Health Affairs study revealed a significant reduction in the use of preventive a significant reduction in office visits, lower utilization of both appropriate and excessive non-emergency care, as well as, large decreases in office visit expenditures, and a higher rate of high deductible plan enrollee emergency visits to lower utilization of physician visits and prescription drug treatment. These high-deductible plans are increasing savings for employers, but decreasing the quality of life for employees. According to Money Magazine, the average deductible for single coverage this year is $1,478, up by half since 2011. 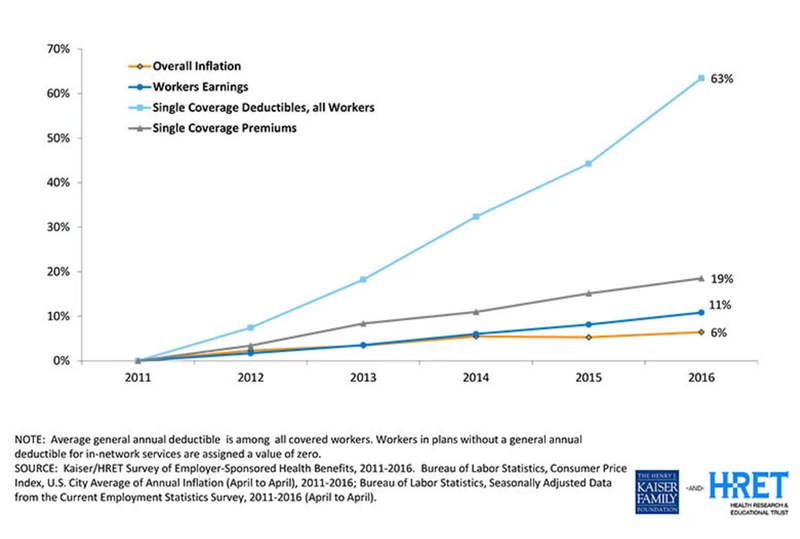 For workers at small companies, the average deductible is more than $2,000. This is an alarming trend because it would suggest that our workforce is putting off preventative measures due to the out-of-pocket medical costs associated with employer-sponsored health plans. This is such a dramatic departure from the reason most of us work at large companies – the benefits. People are putting off preventative services due to cost. People are also using online tools to maximize their healthcare spend. What you may not know is that your pricing data is out there for the public to consume and it may be effecting and it may be effecting the utilization of services at your organization. These pricing transparency organizations can show a great disparity of price for the same service. Here is an infographic from our friends at ClearHealthCosts.com that show the disparities in pricing for the same service across the country. While that infographic shows a country wide view, people can drill down to services in their zip code. Do you know how your fees measure against your competing organizations? What we have found is that when price is removed as a competitive barrier, then the focus is on the experience. If your cost of offering a service is dramatically above the price of your competitor, what differentiator do you offer to let people know why they should choose your organization over a lower cost provider?